The Space Marine daemon-hunters pursue the followers of the Plague God across the battlefield of the Imperium. 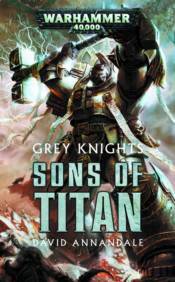 The Grey Knights are a myth, a secret Chapter of Space Marines that responds to the greatest of threats: daemonic incursions into the Emperor's realm. They are spoken of in legends, silver-armored heroes whose weapons blaze with holy fire and whose merest touch can destroy the servants of the Ruinous Powers. And the legends are true. In this collection of stories, a squad of Grey Knights commanded by the noble Justicar Styre battle the infernal followers of the Plague God across the Imperium.